More MTB Trails at Stony Creek! This is it, everyone: your chance to support more mountain bike trails at Stony Creek Metropark! On Saturday, April 2nd, from 1:30pm – 3:30pm, Huron-Clinton Metroparks are hosting a Master Plan Open House at the Stony Creek Metropark Nature Center. We need as many people as possible to show up and tell the Metroparks planners that you want more single track mountain bike trails at Stony Creek. Bring your friends, CRAMBA members or not, and show the park planners how many of us mountain bikers use the park and want more places to ride. 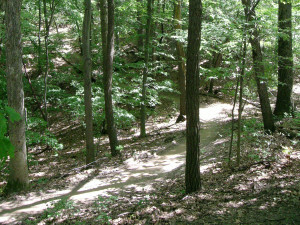 Currently Stony Creek only has four miles of single track trail that is designated for mountain biking. By getting more mountain bike trails listed as a goal on the master plan they will become part of the park’s development. In order to make trails happen the park planners need to hear from us! More single track mountain bike trails will decrease pressure (usage density) on existing trails by further spreading out users. Continued development of the mountain bike Skills Area will enable skills development and provides healthy outdoor activities for riders young and old. 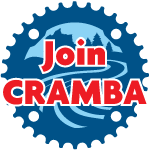 CRAMBA has 300+ paid members in the greater Stony Creek area and the expertise and volunteers to work with land managers to design and build successful trail networks. Trail design has come a long way since the Stony Creek’s MTB trails were first built, allowing for more exciting, sustainable, low-maintenance routes. Winter fat biking on snow is growing in popularity. In winter, fat bikes should not be prevented from riding the mountain bike trails.